About fifty countries in the world adopt today the Gendarmeries internal public force system. Being called Gendarmeries, Carabinieri, Constabularies, Troops, etc., all of them have in common specific characteristics, which differentiate them from other internal security systems. The main is coming from their military character, which determines as well their hierarchical organization as the status of their staffs, their modes of action or their equipment. Far from disappearing, this internal security system is in full development as the re-creations of gendarmeries is showing in some Eastern Europe countries at the end of the XXth century or still the recent creation of new gendarmeries such as the Jordanian Gendarmerie in 2008 or the Mexican Gendarmerie in 2014. The appearance of new threats, the terrorism of course, but also some internal disorders risks growing up in some countries, the development of serious and organized crimes are certainly explaining the choice of this force system of which the intervention capacities in crisis situation is not to be demonstrated any more. To date, no document is gathering all the information concerning these Forces. And nevertheless, these are interesting multiple bodies. First of all the Government, those countries which are endowed with such Forces, in order to adapt their system according to the risks evolution; but also others, those who intend to also be endowed with such a means and that are looking for information that are liable to enlighten them on their choice. The concerned administrations, themselves, in order to share their experiences, confront their methods of intervention. 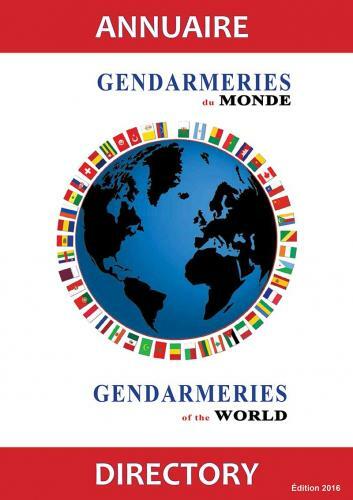 Of course, there are already places of exchange within international associative organizations such as the FIEPM (French Gendarmerie, Italian Carabinieri, Spanish Guardia Civil, Portuguese National Guardia, Portuguese National police, Moroccan Gendarmerie) or still the Eurasian Gendarmerie Force (Turkish Gendarmerie, Azerbaijan Gendarmerie, Kyrgyzstan Gendarmerie, Gendarmerie of Mongolia) or still from official bodies such as the FGE (European Gendarmerie Force). But no global information exists.